Who knits five heels on one pair of socks? I do. Well, I will, and more if necessary. I've already turned the heel three times for my mom's Wick socks. The first time I was turning a heel I thought there was a problem, but I carried on with it. Then I worked the heel of the other sock. I compared the two and saw that the first needed to be redone. No problem. I ripped back and worked that heel again. Still, I was unsure. I decided that I needed to have Mom try on the socks because I began to think that they were not long enough in the foot. Sure enough, she pulled one on, and I could see that they were too short. I've now ripped back both and gotten them back on the needles. Time for more round and round with the stockinette. I guess I just want to give this pair of socks to my mom so much that I've gotten ahead of myself. I also want them to be great, so I don't mind frogging and reknitting them until they are right. I've already redone toes two or three times. It was well worth the effort to get the toes right. I know these are going to be great socks. I love the way they feel. This yarn is so neat. The other good thing about all the frogging and reknitting is that I have greater confidence that this yarn will hold up well. It still looks great after all the abuse it has been through. It makes me believe that these socks will stand the test of time. Well, the socks aren't showing progress, but that doesn't mean I don't have an accomplishment to report. I got those chemo caps off in the mail. They're somewhere between here and Maine. I believe the next group we're knitting for is in South Carolina. Time to bring out some lighter weight and cotton yarn, I think. Here is my humble offering to the Caps for A Cure group. Now to put them in the mail. A sale at Yarn Expressions led me to make my first yarn purchase of 2006. 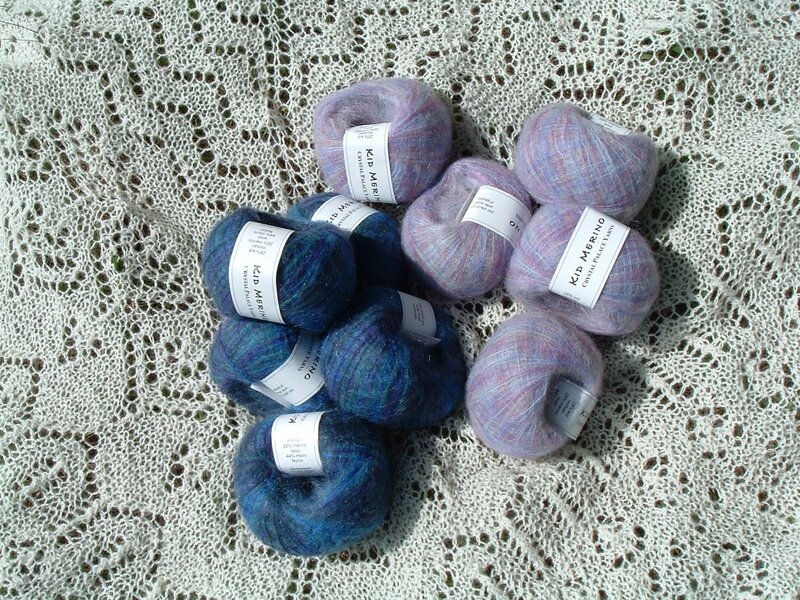 I scored this Crystal Palace Kid Merino at 50% off in Painted Iris and Ultra Blues. This picture does not do justice to the colors, especially to the Ultra Blues colorway. 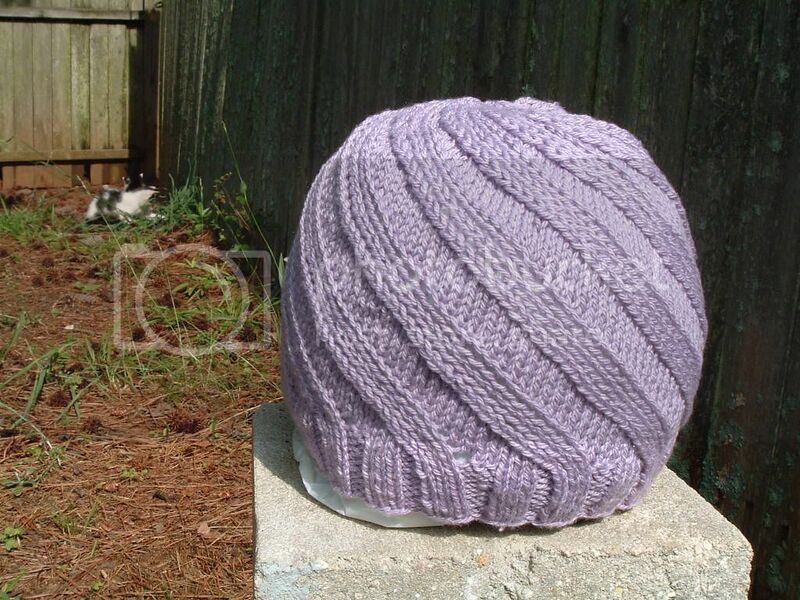 Thanks to my mom, more yarn followed two days later, but I've yet to take pictures. My Pomatomus socks (discussion on proper pronunciation has led us to call them Hippopotamus socks) are progressing nicely. I took a picture at Monday night knitting, but it didn't turn out well. I've managed a few more rounds since then, and I'm about to begin working the fish scale lace all the way around the leg. The heel turning went well, and they feel great on my feet. I'm still doing the Fit Knitter thing. I did Aerobic Body Shaping from The Firm today. I really am getting in better shape. While most of my workout dvds remain a challenge, none of them make me feel like I'm dying to complete them. I joined this group awhile back and have been knitting away on caps. I'm finally getting a respectable pile of them to wash and ship. I received this fabulous package in the mail on Wednesday from Mandy of some donated Brown Sheep Cotton Fleece in Lovely Lavender and Columbine Blossom. I can hardly wait to get it on the needles and knit more hats for this group. 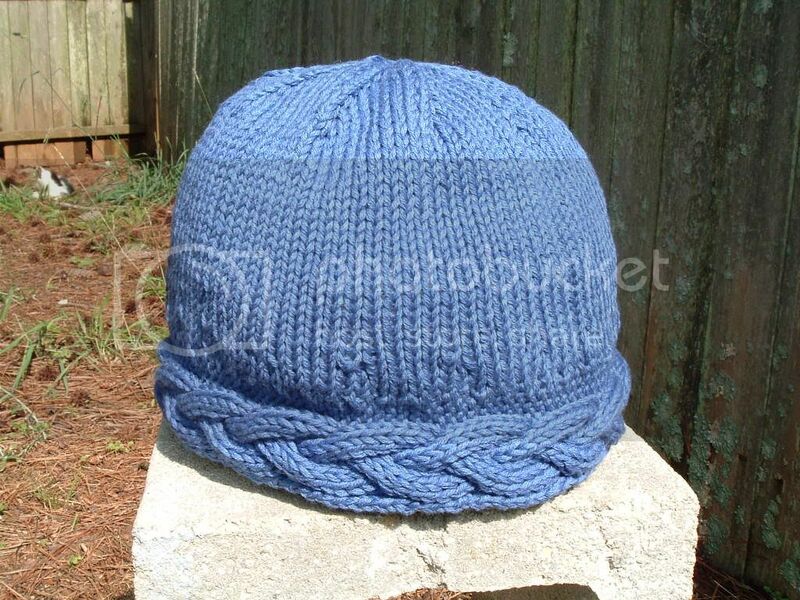 I have often thought about knitting chemo caps. There is a strong family history of breast cancer. In fact, I have an aunt undergoing treatment for it right now. To say she's a dramatic gal doesn't quite capture her, but it really does sound like it is more serious than even she knows. I would like to have knit some chemo caps for her, but sometimes parts of my family do things in ways that are not my favorite. 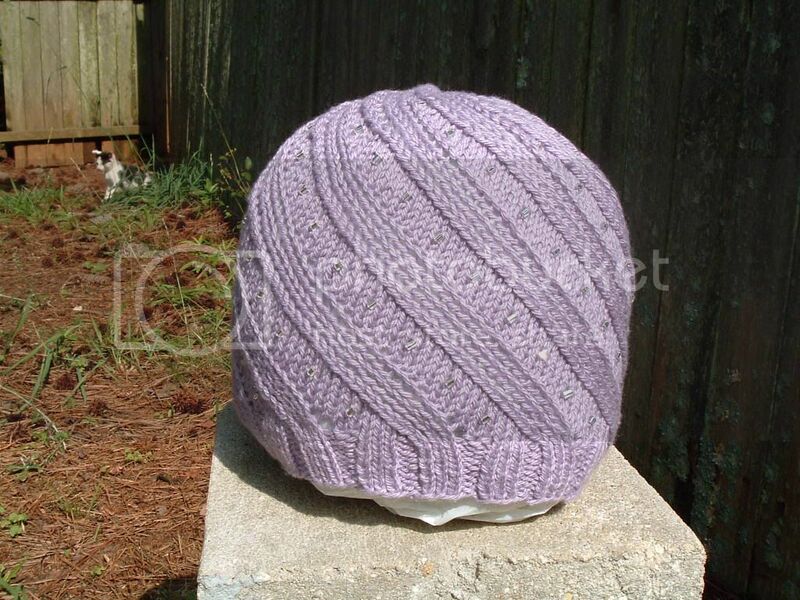 Suffice it to say, my sending her handknit chemo caps full of love and prayers would have turned into a brouhaha. Drama and then some, y'know? Still, I love knitting and I love to help, and this is a cause near (physically, too, I suppose) and dear to my heart. So, rather than sitting back and wallowing in the dysfunction that family can be at times, I decided to do something. I am very pleased to have found this group. 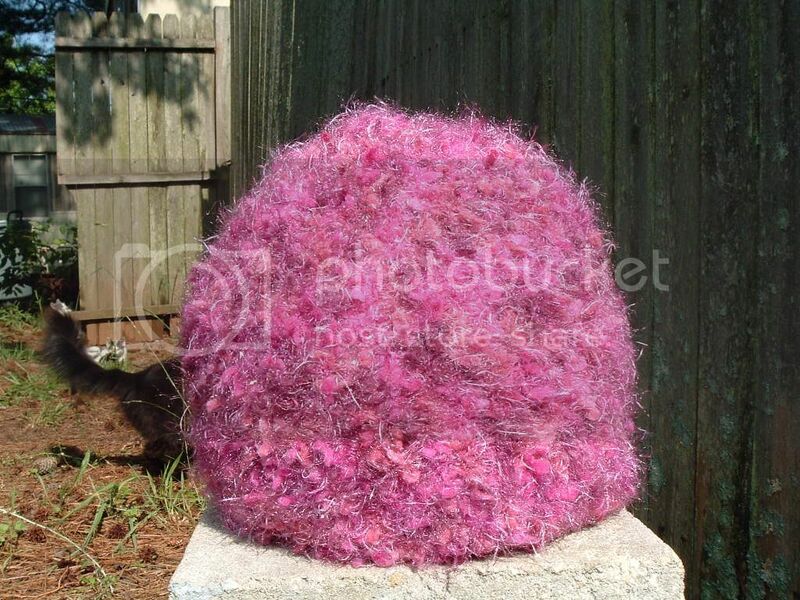 Knitting these hats helps me, and helps others. That's about as perfect as it gets in my book. It slips my mind where I discovered this "a-long" the other day, but it interested me. I've been working on becoming a fitter person, and of course, I knit. We're supposed to post a bit about what we're doing to be fit. I do a lot of in-home exercising utilizing various dvds. I began with Leslie Sansone's Walk Away the Pounds Express, and have gone on to add some Pilates (among others, Mari Winsor), stability ball (aka Swiss Ball) dvds, Tammilee Webb, The Firm, a bit of yoga, and some other Leslie dvds. My quest for a healthier me began about two-and-one-half years ago. I'm about fifty pounds down and in better shape than any other time in my life. 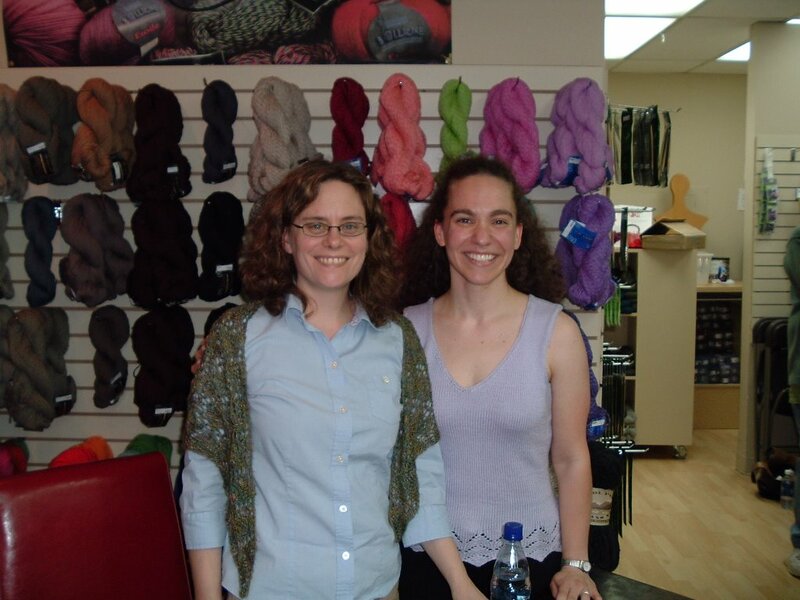 The changes prompted me to branch out in some of the clothes I wear and garments I knit. Now my fashion sense is seriously lacking, but if you'll check out the pic of me and Stephanie, you'll see me wearing Soleil. I never would have had the confidence to knit and wear that three years ago. Besides, it would have taken more yarn. Now I'm looking at some cute tops in the current Interweave Knits that I'd like to knit for me to wear. In knitting news, I'm busily working on my Pomatomus and Bruce's socks. It's heel turning time here. I feel the need to cast on another pair of socks for on the go knitting. I also long after Icarus for several reasons. It's a shawl. It is gorgeous. I have the yarn in stash. 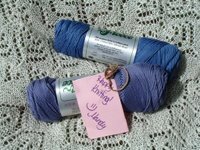 I think I'm about to break the dry spell on not buying yarn (nothing so far this year) as one of the LYS is having its anniversary sale. I'll definitely have to be there Saturday, if not sooner. They also have books and patterns buy one get one (of equal or lesser value) free all month long. I think I'll finally get Folk Hats. Yeah, I know there are some "out there" patterns, but I've gotta have it. It wasn't quite the Cinco de Mayo we had in mind. Up early for a long drive to Birmingham. The Birmingham VA Medical Center (BVAMC) to be more precise. A day at the BVAMC is always a long one. We never sleep well the night before, and we need a day or two to recover afterwards. At least I can always count on some good knitting time. I knit the whole way down while Bruce drove. The patterning in the sock yarn was revealing itself, and Bruce decided that the colors suit him and that the socks will be his. This makes me happy. Bruce has had some trouble with his gall bladder in the past. He has recently had more flare ups of what seem to be more gall bladder trouble. Previous testing has been inconclusive, so he was scheduled to have a HIDA scan. That's what we did with our Cinco de Mayo. 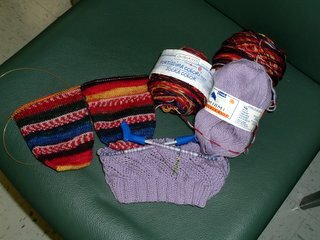 I sat in the Imaging Department waiting area for three hours and knit. This is a picture of what I worked on while I waited. Things did not go well. Two hours into the process someone comes out of the Nuclear Medicine door to be sure that I will drive home. They say they are having trouble finding the gall bladder and that they are going to do something with morphine. I didn't get the details about what all they intended to do before she disappeared behind the door again. An hour later, a disheveled Brucie staggered out into the imaging department waiting area. Apparently this morphine business isn't something they do too often and they were hesitant to do so then. They all gathered about and discussed the possible things that could go wrong. Bruce has quite a sense of humor; he believes that the folks working in Nuclear Medicine has either had theirs removed or just nuked to death. He jokes around with everyone, including medical personnel. So when they pulled the crash cart up next to him (just in case) he said that he usually didn't get the morphine until after he'd been jumped off. All of a sudden, they declared that they could find the gall bladder, and that they didn't need to administer morphine. Hmmm...we'll see. Bruce partly wished they had given it to him anyway because they caused him plenty of pain. They got the gall bladder good and angry and his digestive tract is still upset. I still ended up driving home because he was just so exhausted. 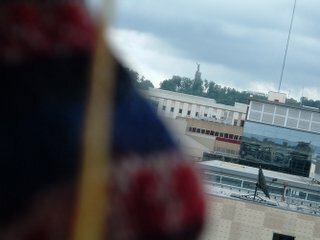 We were parked on the eighth level of the parking garage and I did manage to snap this terrible photo of part of one of the socks and Vulcan off in the distance. Of course my driving meant no more knitting for awhile. I did knit when we stopped for lunch, though. I made good progress on the socks and nearly finished another chemo cap. I used the Odessa pattern again, but without beads this time. I was able to finish it later on Friday night. I can be a bit negative. It's good to try and look at things from a different perspective. Sometimes when I'm having difficulty keeping the depression at bay I take the extra time and energy to focus on how things could be good. Yes, I am having trouble beating back the beast. In fact, I forgot that I had begun cooking on Sunday, went back to bed, and nearly burned down our home. It is with the idea of keeping a more pleasant perspective that I write this post. While I did temporarily have a Sarah-style freakout moment over the excitement of meeting Stephanie, the overall effect has been positive. I was getting into a bit of a knitting slump. Now I am about halfway up the feet of my Pomatomus, and I've cast on and passed the toes of another pair of socks. The only decision is whether this second pair of socks will be for me or Bruce. I've been spending more time reading knitting blogs. It seems like I can spend a whole day following links and getting inspired. My trip to Threaded Bliss Yarns has me keeping up with their blog now, too. They are having a captioning contest for the pictures from Stephanie's visit. Check it out and see if you can be a winner. Somehow I found myself on the preview page for the Summer 2006 Issue of Interweave Knits. I think I might need to pick up this one. 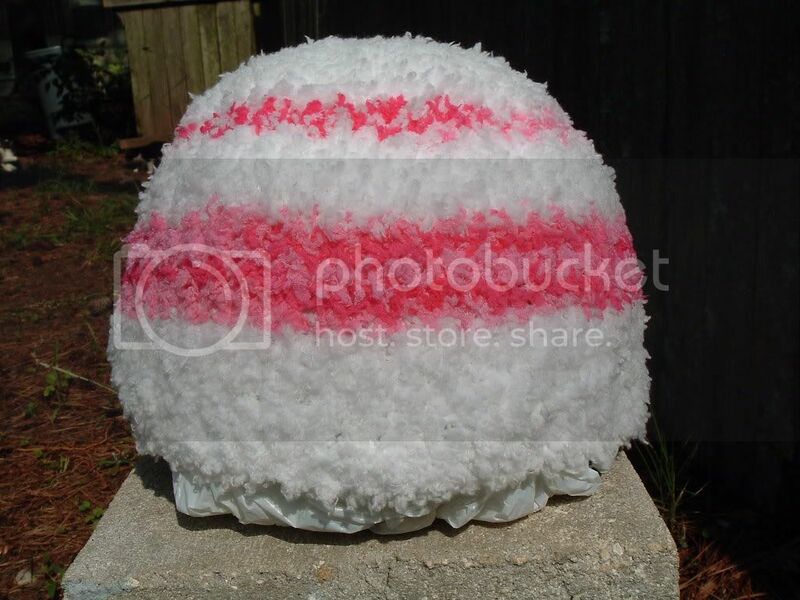 There are a few patterns I think I'd like to knit. I'll need to look through the magazine to be check them out more closely. There are some nifty patterns available online, too. I find Priscilla Gibson-Roberts' Bazaar Socks to be especially inspiring. I see potential in the patterns in this issue. I might need to do a bit of tweaking here and there, but that's not a problem. In fact, it's good. 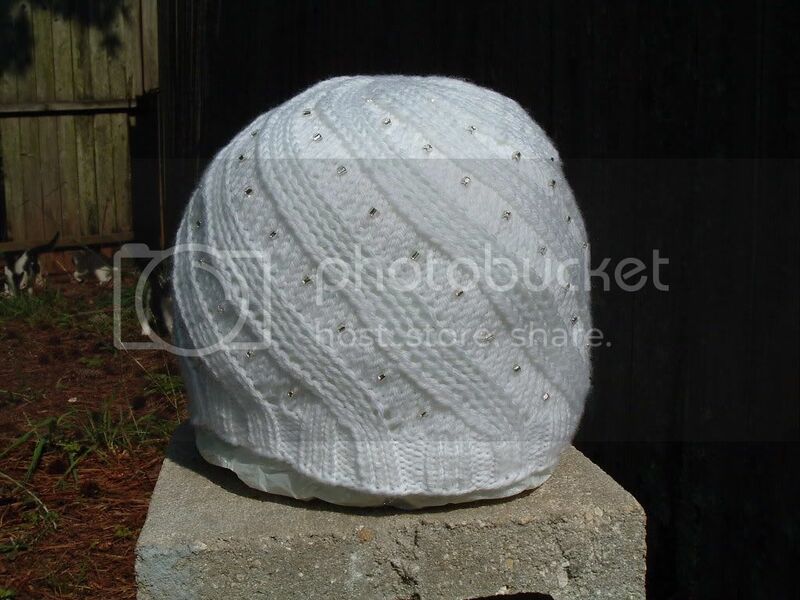 I'll expand my knitting skills and stretch my brain to change the patterns to suit me.